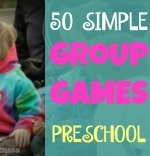 Do you miss sending cute notes or packing fun school lunches for your toddler? 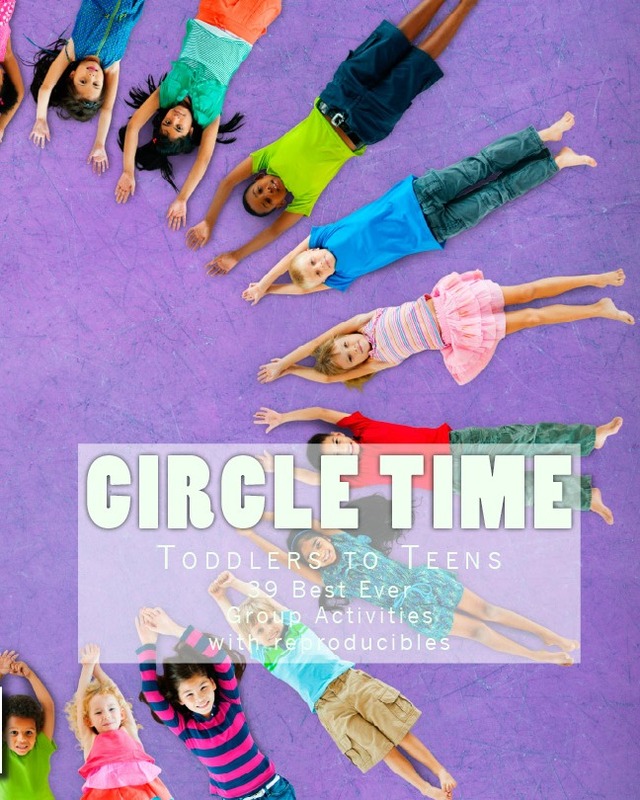 Now that your toddler has blossomed into a tween, you don' t have to stop the fun. 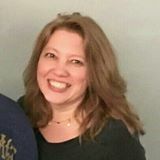 Sure, they embarrass easy. Sure, they don't think you are cool, but that doesn't mean you can't pack a cool school lunch! Get creative with these lunch box ideas for tweens. Enjoy! You are never too old for Pepperidge Farm Goldfish Crackers, especially now that they have added lots of new flavors. Think Pizza and Parmesan, Pretzels and Cheddar, and so much more. The packages are bold and cool enough for tweens to share with their friends. So, whatever you pack in the school lunch, be sure to add your tweens favorite flavor of Goldfish Crackers. 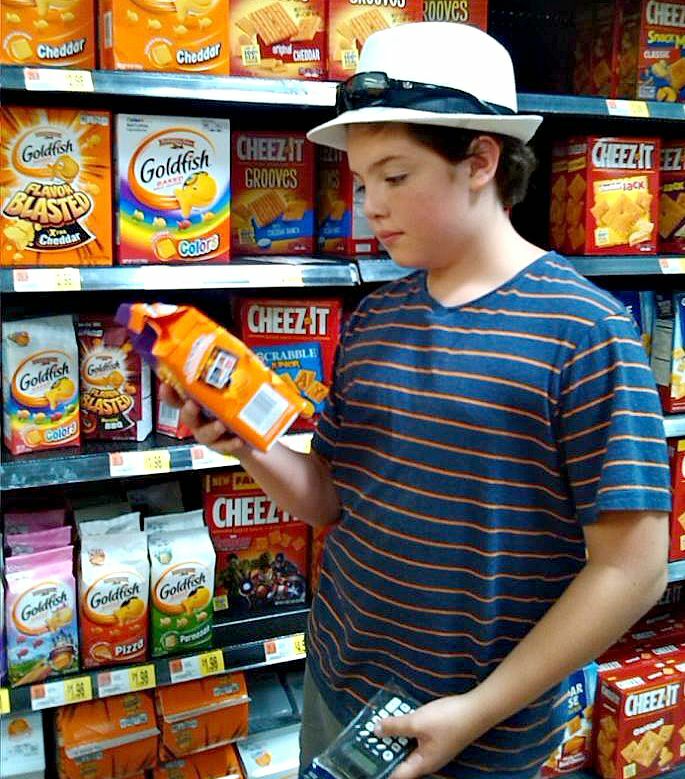 Jake is checking for his favorite flavor combinations to add to his lunch. So, yeah, you probably aren't going to pack them swimming in a cup of blue pudding or draw a game of Fish Tac Toe on their lunch bag, but you can get creative with the contents of their lunch box. 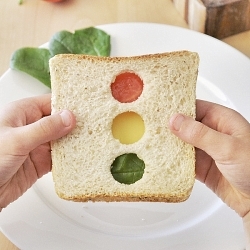 Foodgawker.com shares this fun, stoplight sandwich. It isn't too flashy, but your tween will smile when they see it! Better yet, serve it up to a teen about to get their driver's permit. Spotlight Sandwich from FoodGawker.com is fun for celebrating a Learner's Permit. These monster sandwiches are fun for a Halloween lunch idea. 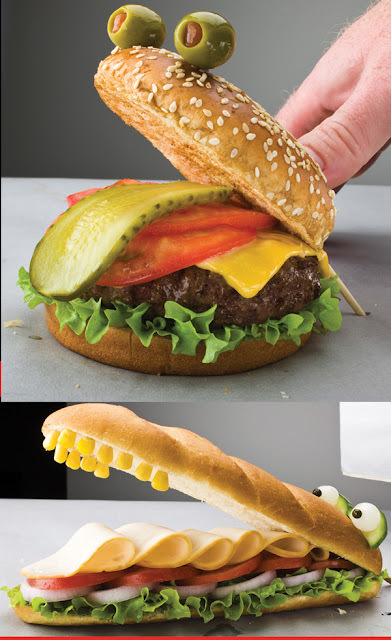 Find these Monster Sandwiches at Behance.net. 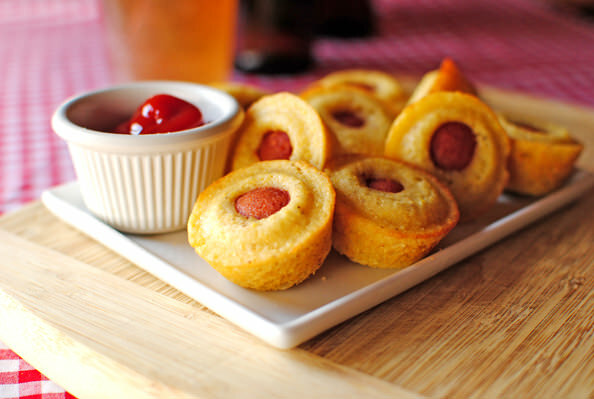 Mini Corn Dog Muffins are perfect for a creative lunch for tweens. Whatever you pack in your tween or teen lunch box, don't forget the Wet Ones. Did you know Wet Ones makes individually wrapped single wipes that are perfect for school lunch boxes? We found them at Walmart in the Personal Care aisle. 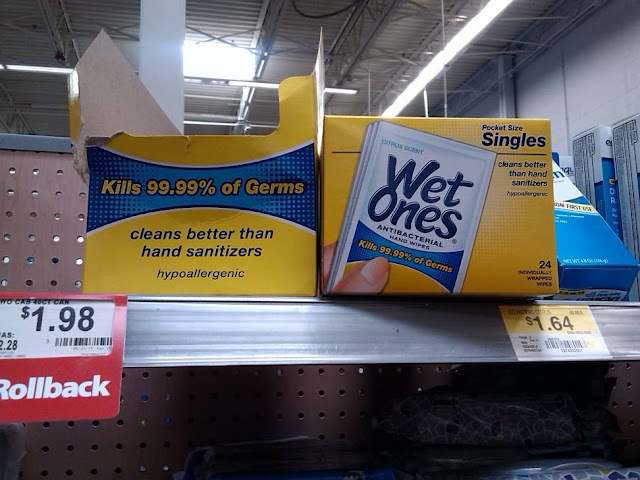 They clean sticky hands better than hand sanitzers and kill 99.9% of nasty germs. You know, the germs that all of the kids like to share all over the school! Add Wet Ones Singles to your tweens lunch box. Our go to lunch sandwich is cream cheese on white bread. We add some fruit and a crunchy munchie, like Goldfish Crackers. If you follow the blog, you know that we homeschool, but that doesn't mean we don't pack lunches! We like to homeschool on the road whenever possible. Wednesdays are park days, Tuesdays are museum or library days, and Thursdays are 4-H days. Rather than stopping for fast food all the time, we try to pack a fun lunch. 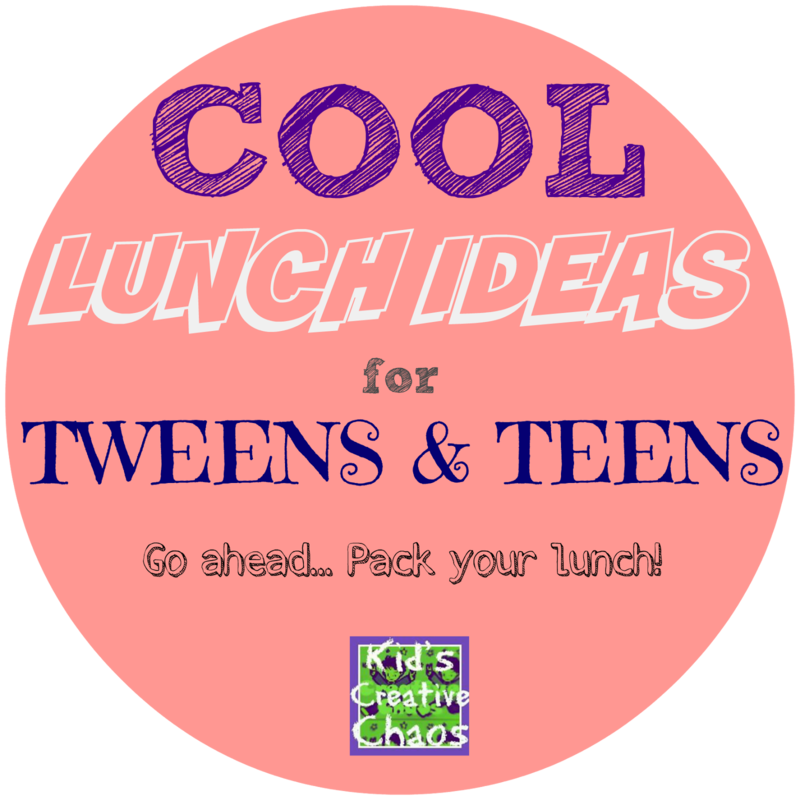 What do you pack in your tweens lunch? Do they still do chicken nuggets and peanut butter and jelly? This is a sponsored conversation written by me on behalf of Wet Ones® + Pepperidge Farm® . The opinions and text are all mine.